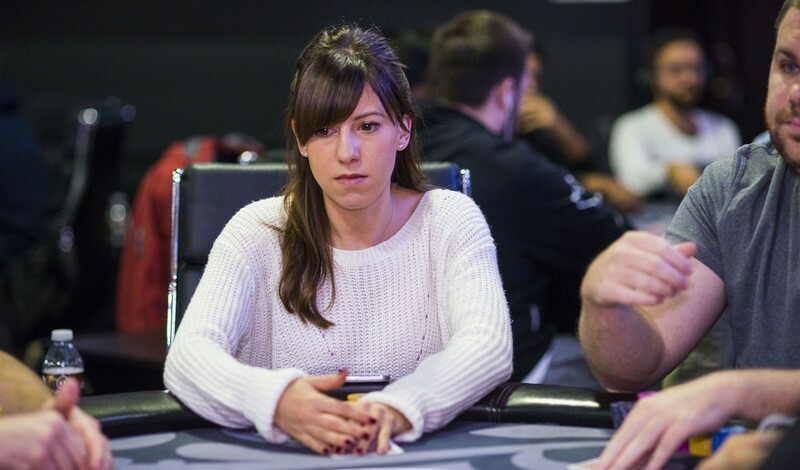 Canadian poker pro Kristen “krissyb24” Bicknell has been on a roll in tournaments in the short amount of time since she transitioned away from online cash games. The poker world better watch out. Bicknell, who is sponsored by leading online gaming site PartyPoker, has two World Series of Poker bracelets. She won the $1,000 no-limit hold’em Ladies Championship in 2013 and a $1,500 no-limit hold’em bounty event in 2016. Furthermore, she made a final table last summer in the prestigious $10,000 buy-in no-limit hold’em Six-Max Championship. She has amassed $1.7 million in lifetime live tournament earnings, in addition to her untold success in internet cash games. Despite a relatively young poker career, Bicknell, 31, has the same number of bracelets as Poker Hall of Famer Jennifer Harman. Only Vanessa Selbst, Nani Dollison, and Barbara Enright, another Hall of Famer, have more with three apiece. The poker pro has gotten off to a strong start in the 2018 Card Player POY race, thanks to a win in mid-March in the Asia Pacific Poker Tour Macau $80,000 HKD high roller for nearly $300,000. It was her second-largest score to date. Card Player had a chance to speak to her briefly about her career on the felt. Brian Pempus: Congrats on your recent tournament victory. What was it like winning a major tournament overseas? Kristen Bicknell: It was the first or second tournament I’ve ever played [in Macau] so it was a dream situation, to go on a poker trip and have everything go as planned. I ended up playing David Peters heads-up, which was pretty fun. It was kind of surreal. He is such a well-respected player, and one of the best players there is at the moment. It felt pretty crazy competing at that level. As far as what it means to me, it’s hard to describe, it just feels like what I am doing and the work I am putting in is paying off or has paid off. There’s nothing I love more than competing in a tournament and winning. It’s just the ultimate experience I would say. I guess when you are in a tournament with a lot of the best players, it definitely feels ever better to feel comfortable and have success. BP: Does the win give you some momentum going into the summer? KB: Definitely. I feel more pumped up and ready to go for [the WSOP]. I guess I have been playing tournaments [consistently] for a year and a half now, so I would say it kind of gives you a lot of confidence going into it, and excitement that I just played a tournament and won it, and you know it’s attainable. Knowing that you can make a final table, and close it out and win it gives you confidence. BP: Given that you have a couple of bracelets now, do you feel like the hunger for bracelets increases with the more you win? KB: I would say so (laughs). But maybe because of the spot I am in now, where I’m putting all my focus into it. I’m enjoying [playing tournament poker], it’s what I want to be doing, and that makes a big difference. For some players, it feels like they are forcing themselves to play. I’m choosing to play and with a little bit of financial pressure off of me, I can focus on competing and trying to win. The game is more fun for me without financial stress. That’s the one thing that has felt different in the last couple of years. I’m driven now in that competitive aspect of getting bracelets. BP: Between live and online, do you try to balance the two these days, or do you play more live given your travel schedule and whatnot? KB: I’ll play live when there is a tournament stop that I’m going to, but I’ll also play online whenever I can. I’m pretty much always playing, but online mostly between tournament stops. I’m definitely still playing online quite a bit. BP: Are you playing as many tables as you once were? You were a prolific online grinder not too long ago. KB: No (laughs), I’m not doing that anymore. Now I’m just playing tournaments online. I try to keep the table count not too high, maybe 10-12 tables maximum. I was playing 24 back then. 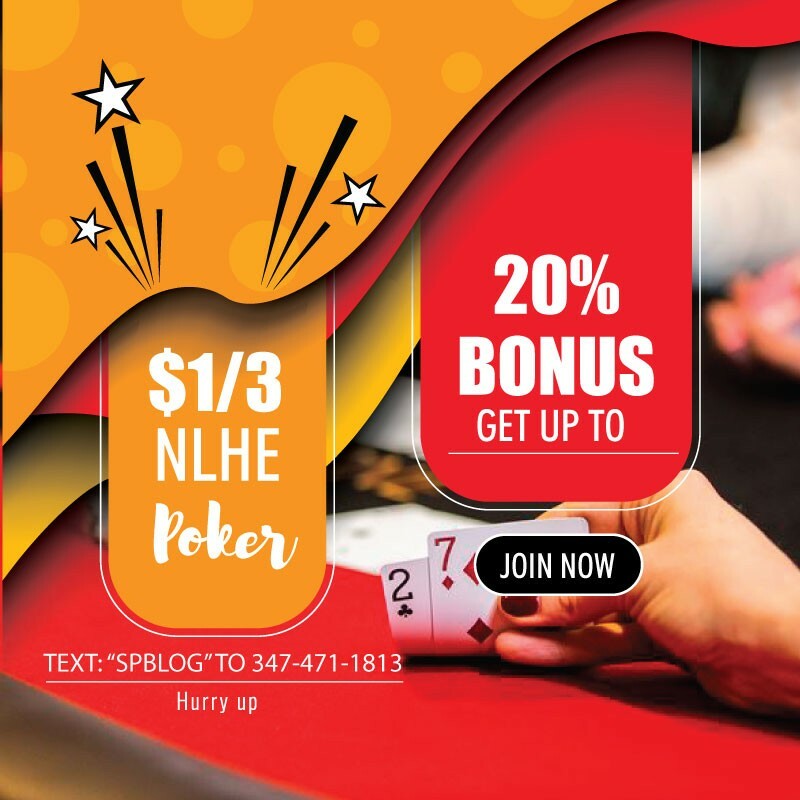 I think the experience of playing that many hands, and not to mention having to act that quickly, made it so there are a lot of post-flop situations that come quite naturally to me thanks to that experience. It is incredibly beneficial to have that experience. It was impossible to not learn betting patterns or feel out certain scenarios when they came up. No hand of poker is the same, but it felt like I had played [some hands] before. BP: Because you play fewer hands these days, do you ever feel like specific hands stand out more to you compared to the past? KB: Sure, that is true. What stands out to me the most now are the mistakes that I make, more than ever. In the past, if I was playing 10,000 hands a day, I wouldn’t dwell on any hand that I played really bad. Whereas if I am playing 70-100 hands per day, I tend to really focus on a few hands that I want to question or feel like I didn’t playing optimally. That’s probably the biggest change now. BP: Is there any nostalgia for the days when you were grinding 24 tables? KB: Yeah, definitely, it feels like that is where I got momentum in poker in general, where I built my bankroll and my knowledge up. In a way, I thought it was fun grinding really long sessions, and doing that day after day. It was a tough challenge that was really rewarding. BP: In terms of growing the game and make it more diverse, and maybe increasing female participation, do you have any thoughts on that topic? If so, what can men do to make poker more welcoming to women? KB: I think it is definitely important to make women feel comfortable [at the table], and not put too much attention or focus on the fact that there is a girl at the poker table. I think you just have to treat them like any other player, be respectful, be nice. It’s a controversial topic, and to be honest I try to stay out of it. I don’t have strong feelings one way or another. For me, I always felt like what I could do best was to kind of pave the way for women to show that you can feel comfortable. I think a lot of people might assume I could feel intimidated or that [poker] is hard. If women see me, they might see that as a possibility to go play whatever tournament and compete. BP: There’s another seemingly never-ending debate in poker about life balance and if it’s better to have a more well-rounded life or if poker requires you to be all-in in terms of playing and studying. Where do you fall on this topic? How do you juggle personal life stuff with being a poker pro? KB: This is a really interesting topic for me actually. I feel like for me, my life is somewhat balanced or I feel OK with how much work I’m putting into poker. Some people might not be able to put as many hours in as I do. I think there is probably a personal aspect to it, but with anything if you aren’t doing what you love as your work, then the need for balance becomes greater. If you don’t really like your profession, then you’ll want more time away from that. Whereas I really love what I am doing so I don’t feel a great need to be away from it. For the most part, all I want to be doing is playing poker. I have to force myself to do other things or go on vacation or something. I never really feel like I need that. As far as staying balanced in terms of being healthy, I feel like if you are playing poker for long hours, it is important to go to the gym, exercise and eat well. That is undoubtedly important, as it is for anyone in life. But I think with poker you will only play better if your body and mind are healthier. That is a really important aspect of poker. I know that from my experience if I feel healthier and slept well, I end up playing better. BP: Going back to your beginnings in poker, how did you find the game and when you first discovered it did you ever think that you’d ever be where you are at now with a couple of bracelets and being one of the most well-known players? KB: Definitely not, no. I was just trying to stay afloat in the game playing $1-$2 and $2-$5. I never had a long-term vision for being in the game. It is pretty crazy. You don’t really realize where you are until you sometimes look back and where you were, or you see the accomplishments on paper. It feels like it has been a slow and steady road that I’ve gone on. I’ve been in poker for a long time so it all feels natural and normal, so I guess I don’t notice that anymore, or maybe I don’t realize what I’ve done. Even after you win a tournament, if you bust in the next one you play you are thinking about that. Winning or having that success, for me, I don’t get too caught up on it. I think [winning] is what I should have done and so I try to do it again.